This entry was posted in Instruction and tagged tiling, flooring, Makita, wet polishers, RockMaster, polishing kits on May 24, 2016 by mwhoadmin. 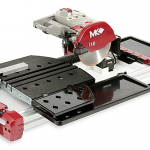 Master Wholesale President Blake Adsero puts the MK Diamond MK TX 4 Tile Saw to task and highlights some of the new innovative features of this new tile saw. This entry was posted in Reviews and tagged tile saws, tile cutters, wet tile saws on May 11, 2016 by mwhoadmin.